Chance The Rapper has teamed up with producer Kaytranada for new track ‘They Say’. Kaytranada played the song during a DJ mix for Pharrell Williams and Scott Vener’s OTHERtone radio show on Beats 1. Listen to the episode in full here and hear ‘They Say’ via SoundCloud below. 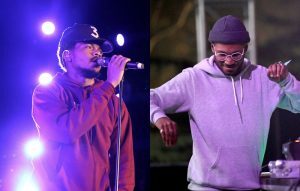 The two acts previously collaborated on ‘All Night’ from Chance The Rapper’s ‘Coloring Book’ mixtape last year. Last week saw Chance mourn the death of his aunt, who passed away after battling cancer. Chance The Rapper recently cancelled a number of European festival dates which were due to take place later this summer. The Chicago rapper is set to visit the UK and Europe this summer to join the festival circuit, and is scheduled to headline the Friday night at Wireless Festival in London on July 7. However, Chance has announced that he has had to cancel a string of European festival dates due to “scheduling conflicts.” While Wireless is not one of the cancelled shows, Chance will no longer perform at Øya in Oslo, Norway; Way Out West in Gothenburg, Sweden; HAVEN in Copenhagen, Denmark; and Pukkelpop in Hasselt, Belgium. The post Listen to Chance The Rapper and Kaytranada collaboration ‘They Say’ appeared first on NME.